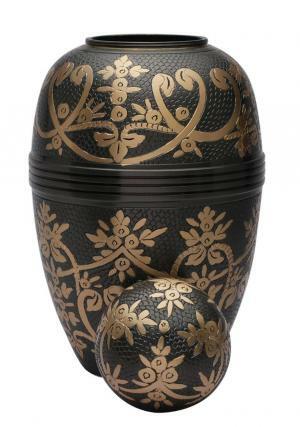 Adult cremation urn is a quality present that could be given as a monument for the last time. 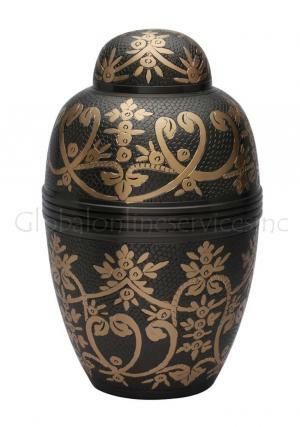 The adult urn is used to store ashes for a long lasting duration as an ornamental icon to remind the demised. The large adult cremation urn has a broad garland of flowers circulated on the urn which is decorated in full on the top to the bottom. The preservation of ashes in the funeral urn is considered to be precious as purity of the soul. 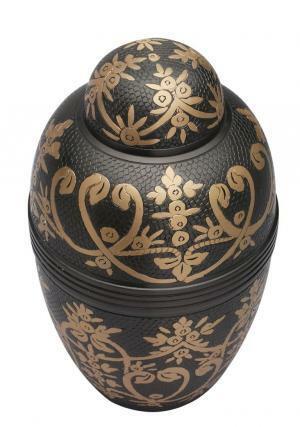 The dome structured lid of the adult urn has a beautifully designed gold cover on the top. The memorial adult urn is made of unique finishing design on the top with gold leaves of tied threading and the urn is circled with bands with plane texture. The adult ashes container has a threaded lid on the top for secured closure and open to store ashes. 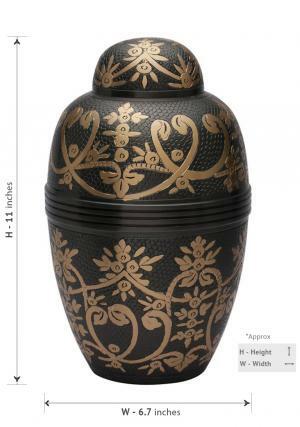 Convey ashes in windsor black large adult cremation urn to place it in at any part of your home. The adult cremation urn is measured to 11 inches tall and weighs approximately 2.08 KG. We deliver it for free with a much appreciated satisfaction from customers.